Why settle for restaurants that are just okay when you can have the best of the best? Myffy Rigby and Roslyn Grundy’s Good Food Guide 2018 is the best way to make sure you’re getting the best food that Australia has to offer. This comprehensive collection of restaurants is an essential purchase for any self-confessed foodies, with this national edition covering Australia’s major cities. Featuring contributions from respected newspapers such as The Sydney Morning Herald and Brisbane Times, restaurant guides don’t get any more comprehensive and up-to-date that this one. Also featured are a set of handy top 20 lists, making it super easier to pick somewhere to eat or drink on the fly. 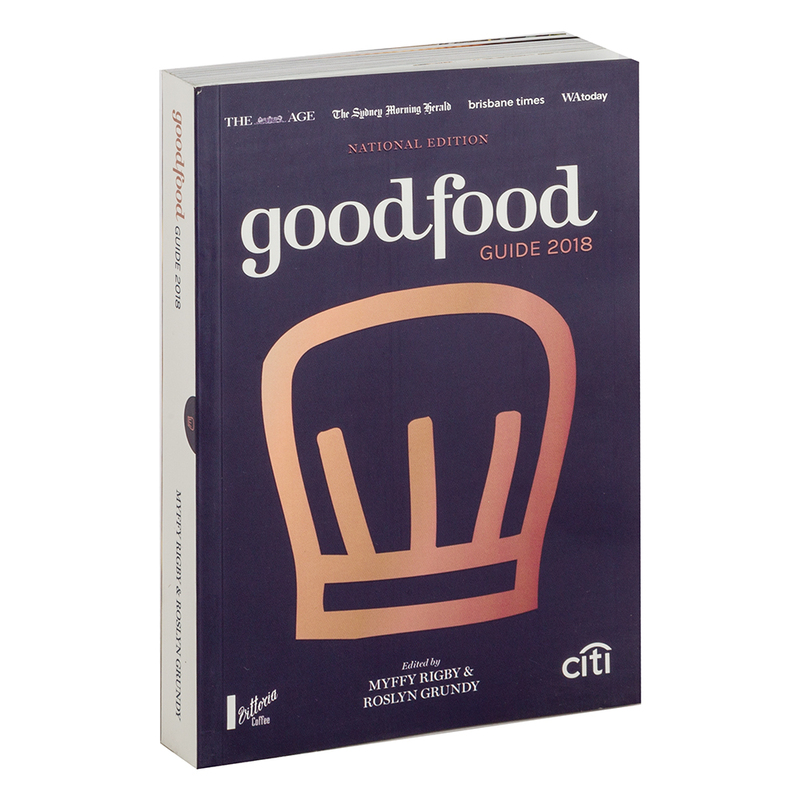 So make sure that your next evening out – and every one to follow it – is one to remember and snag yourself a copy of the Good Food Guide 2018. Written by Myffy Rigby and Roslyn Grundy. Learn about the most respected restaurants in Australia. Nine handy top 20 lists focusing on Sydney, Brisbane and Melbourne. Includes introduction, maps and index. Photographs courtesy of restaurants and Fairfax Media library. Dimensions: 13cm (l) x 20cm (h) x 2.5cm (w).